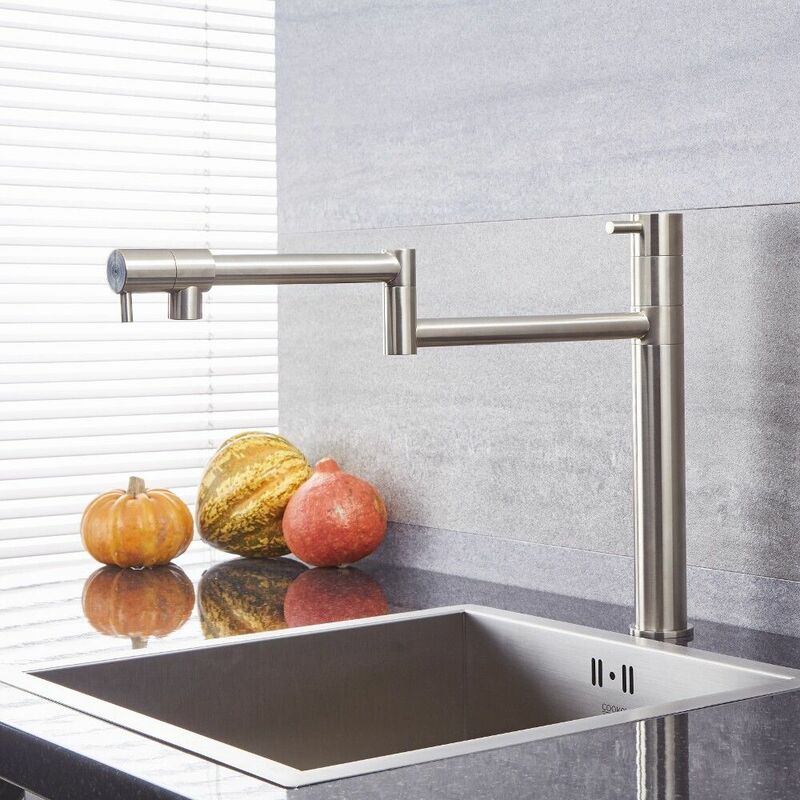 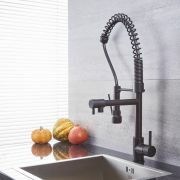 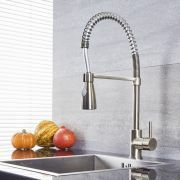 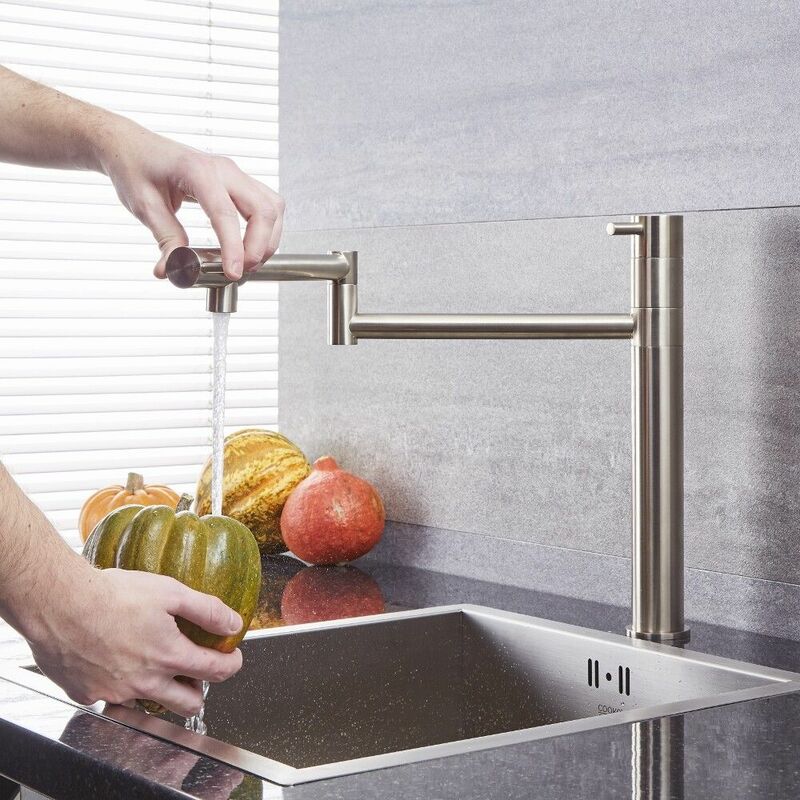 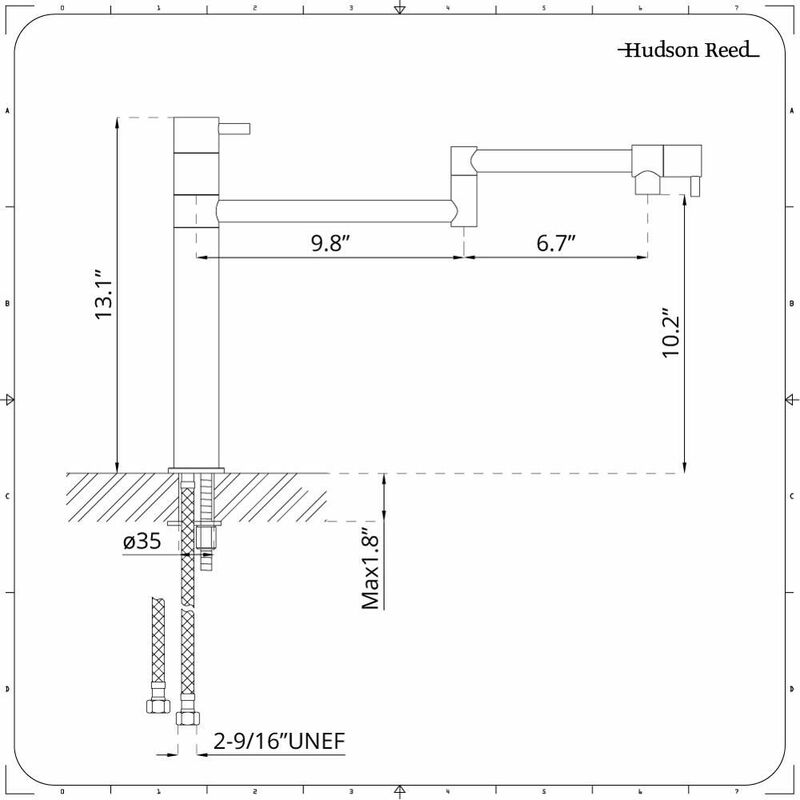 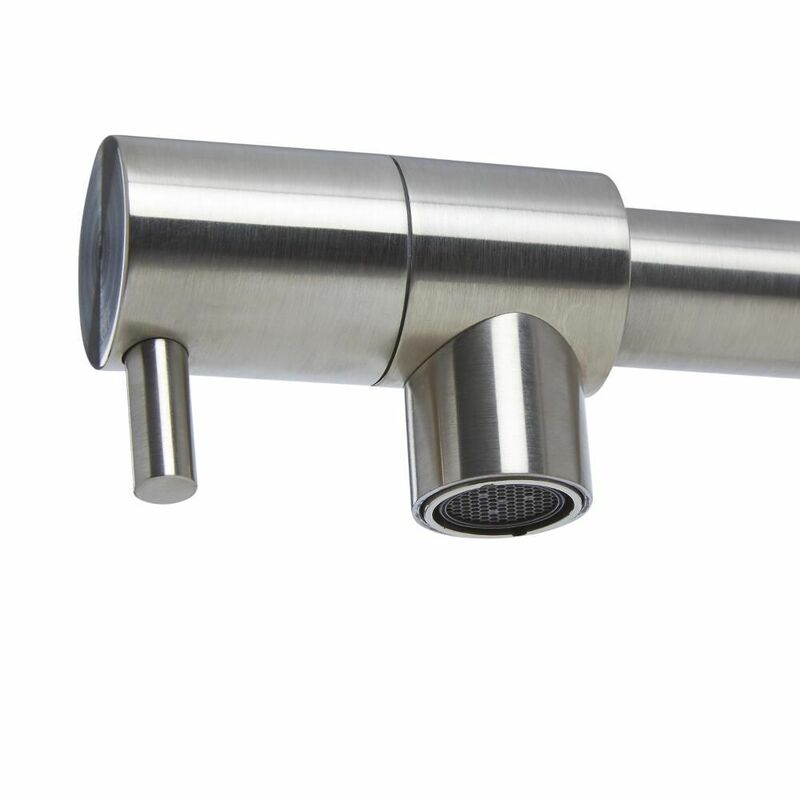 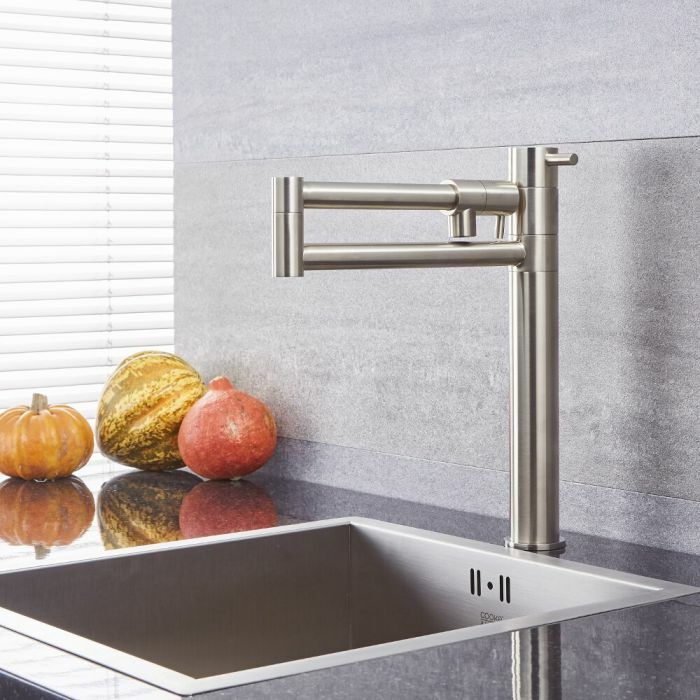 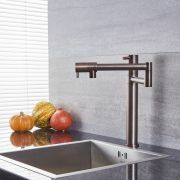 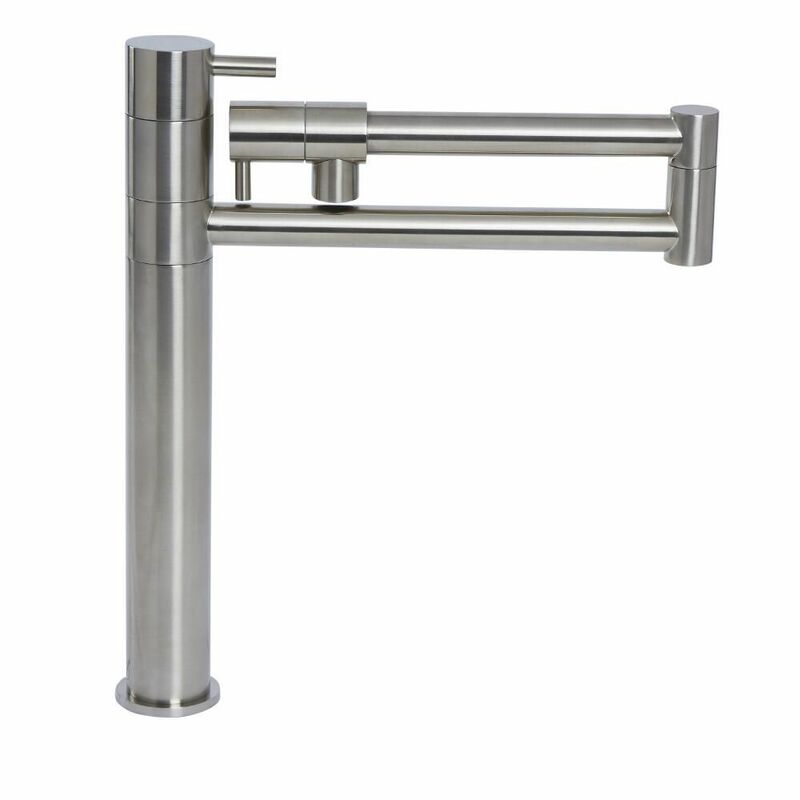 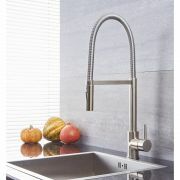 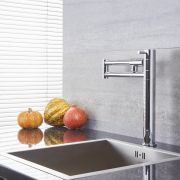 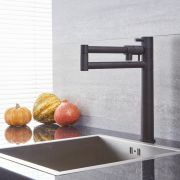 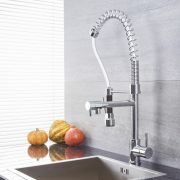 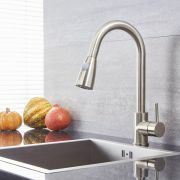 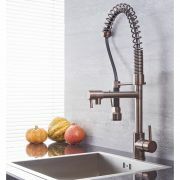 Upgrade the appearance and functionality of any kitchen area with this Quest retractable kitchen mixer faucet. 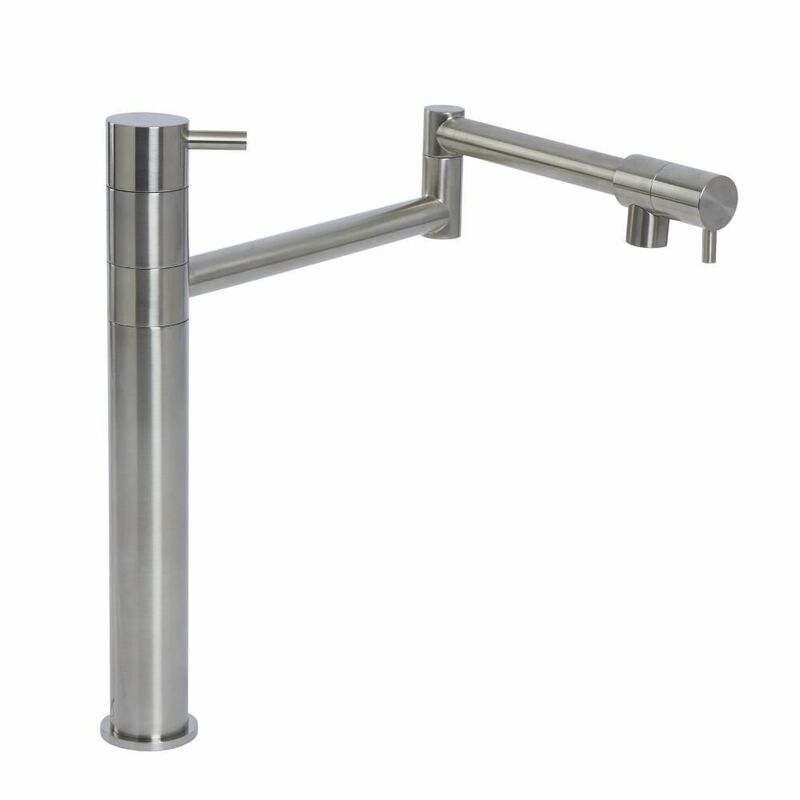 Made from solid brass to ensure outstanding durability, the pot filler features a lovely brushed nickel finish and a stylish modern design. 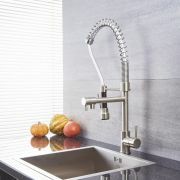 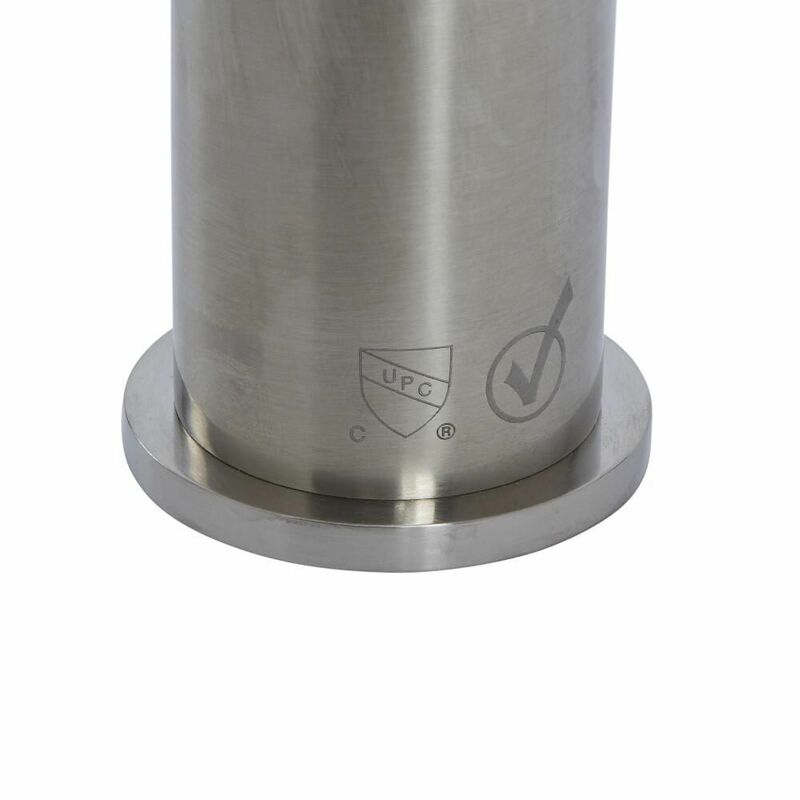 It also utilizes ceramic disc technology to help prevent leaks and drips, and is suitable for installation with all plumbing systems.